A New Model for a New Context? A framework known as Project 2000 was established in 1986 for nursing and midwifery education and practice. Historically, views on how best to prepare nurses and midwives have reflected existing ideologies in both education and nursing, which have in turn reflected the prevailing social climate (Spouse, 1998). Project 2000’s intentions were to produce nurses and midwives better able to meet the rapidly changing healthcare needs of society. A framework was thus established that produced not just safe nurses and midwives, but nurses and midwives who were able to improve the quality of patient care and were ‘fit for purpose’ (UKCC, 1986). The question of whether student nurses and midwives are prepared to meet the demands of clinical practice at the point of registration has been debated under the heading ‘fitness for purpose’. 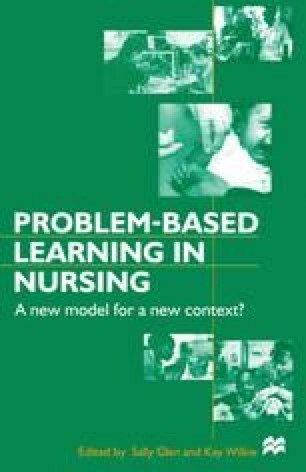 A fundamental principle of preregistration nursing and midwifery education, since the establishment of the Project 2000 framework, is the extent to which it provides new practitioners with an appropriate foundation for practice (Luker et al., 1996). There are growing concerns about whether education programmes are equipping nurses with the necessary knowledge and skills base for accountable practice (Scott, 1997; Walsh, 1997; Runciman et al., 1998; DoH, 1999; UKCC, 1999). However, May et al. (1997), while recognising the need for a continual evaluation of the Project 2000 programmes introduced in Scotland in 1992, indicated that the profession ‘seems to be on the right track in our preparation of tomorrow’s practitioners’.